So, I guess it’s time to talk about those unfinished quilts. It seems as though it’s been easy for me to finish a quilt top, hide it away in a closet, and start another. I went looking for unfinished quilt tops the other day, and let me tell you, it’s not pretty. Well, actually, it is pretty, but the situation… well, that’s kind of dire. I’m hoping that discussing it here will help me make a dent in finishing up some of these quilts. Any encouragement is welcome! Any votes on what to start with first? This girl needs help, and a little motivation! This entry was posted in Posts about Quilts and tagged handmade, modern, Posts about Quilts, quilt tops. Bookmark the permalink. My goodness! I sort of envy you but can’t imagine where you might begin! Good luck! This makes me feel better about my WIPs, only slightly since they are not even quilt tops yet but still…. I would vote for either Liberty or Simply Solids since they are my favourites. Wow, I adore you quilttops. Especially the solid colored ones. I think you should start with the first one. I love it. The colors are gorgeous. 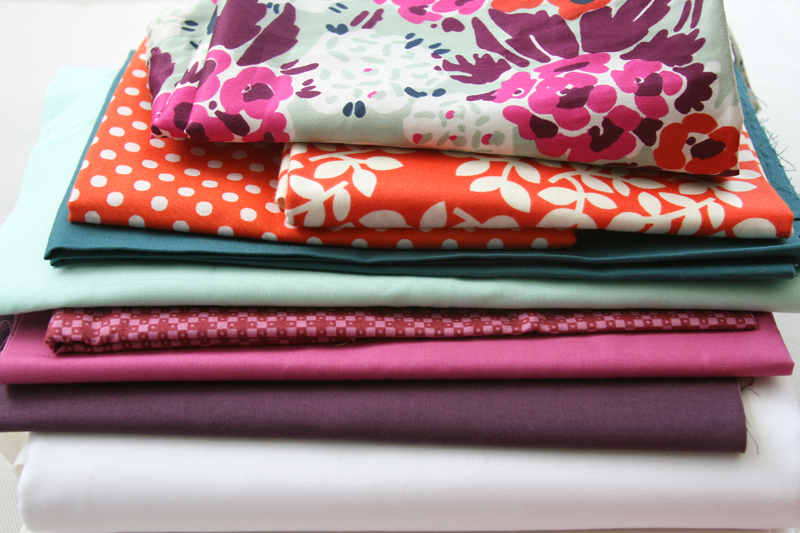 I’d start with the Liberty prints for sure — and then move on to Simply Solids. 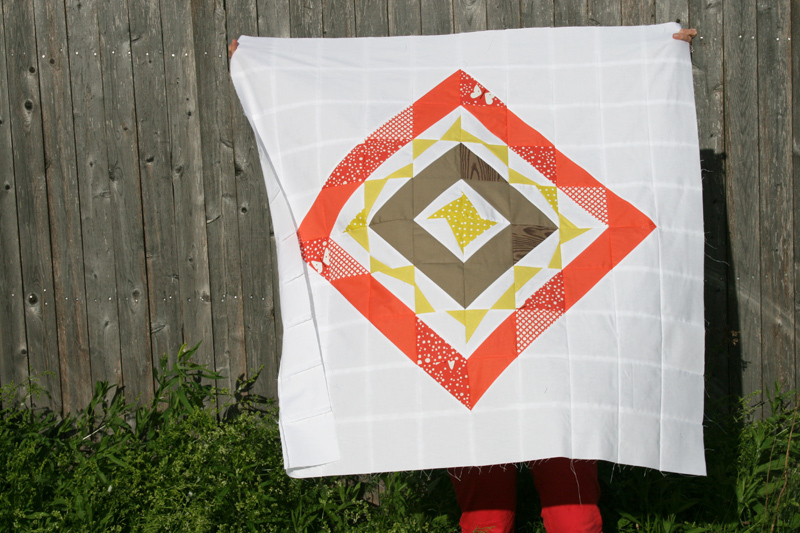 After that I’d want to finish the Swoon quilt — and then quilt up the Ruby. If I wasn’t too tired, I’d go ahead and do the Brrrr. If you finish all those, let me know what’s left and what’s been added, and I’ll help you with your next quilting decision. Now I should go dig through my stack and decide. Ooo…definitely Simply Solids. I’m real excited about that one! My Lord that really is not pretty (in a kind of a lot of quilting has to be done way). I would start simply from top and work my way down systematically. You know, each and everyone of those is really pretty and it would be such a shame if only the cupboard gets to see them because they are unfinished. Go get them ! Oh I would love to help you with Perfectly Perched in plum and Ruby Strings 😉 These would be my favourites. Do you have plans with them? I have baskets that are filled with quilt tops so I feel your pain! I have no excuse not to finish them because I have access to a long arm so even the big ones are easy to do. I think I would decide which quilt was my absolute favorite and do that one first. Once you get going you will probably gain momentum. Then again, if you are like me you will just make another quilt top! I would do things differently. I would start with the smallest quilt because I could get it done fairly quickly. That way I could see some progress. Then move on to the next one that’s small. And small is relative to the sizes of all the others. Are you a financial planner? (Just joking). This is the kind of great advice I used to give to clients who had some debt to clear up. Love it! I suddenly feel a lot better about my unfinished quilt top situation. LOL They are all beautiful though! I would probably do 1 big one, 1 little one, 1 big one, and so on…. Liberty! Definitely Liberty! And then on to the solids. But I know this feeling to need to start something new, it’s just so tempting to play with new fabric, isn’t it? They are all lovely. It would be hard to know where to start. I like the process of making the quilt top best also. I don’t really mind the quilting either. But I hate the sandwiching/basting process. Ugh. Necessary, but definitely NOT my favorite part. Any of these would be a fantastic finish, but I think I’d do Swoon or Swirling Swans – they look to be a little smaller and you’d have a quick finish and maybe motivation to do another?! And if you’re looking for a home for one or two of them (and maybe additional motivation to finish), you might check out Julie’s blog post yesterday at Having Fun Quilting. She calls it Operation Wood Hollow. The plight of these folks just breaks my heart. I’m digging into my WIP pile this weekend. And you’re right, it’s pretty, but it’s not. I’m glad I don’t have that many quilt tops started, I’d feel bad starting yet another one everytime I’d want to. Why don’t you try to finish just one or two per month ? With two, you’d be almost done by the end of the year… that could be encouraging. And to think I was thinking people were *finishing* all those quilts they are whipping out!! The Liberty patchwork should be next up, IMO!! It’s difficult to say which should go first but I would would go oldest first. Purely because the poor quilt top has had to wait longest. I thought it would be easy to choose, but I love so many I can’t pick one for you to work on. Hope someone can pick. I started with the typewriters, then the swoon, then…, then…, good luck! Wow, what a gorgeous collection of quilt tops! Good luck with the quilt backs! start with the smallest ones! that way you can get a few done in no time and you feel better for finishing a few in the same time it takes to do one big one! I think considering the sheer number of tops you should look at them practically. which one is the oldest and start there, or look at the fabric you have for backs and start with the back that would be the least work or you have on hand….or you could just lay them all out and spin around 3 times and point. Do the one that you would use and enjoy! 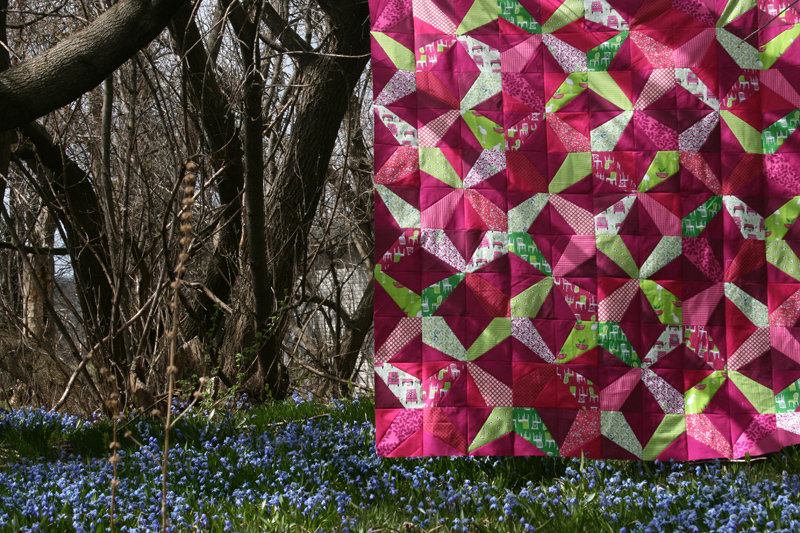 I agree with Susan – starting with the smallest might be a good motivator because it’d be quickest to finish, but I am totally in love with your quilting bee quilt – the colors just make me smile! As always, your quilts rock! Agree that you should start with the Liberty, and yeah, tie it! I find that having a DEADLINE helps me. Like, I’ll give this quilt only this month. Or, this is due for my friend’s birthday. Or, once I had to finish quilting one so that we would have something warm to sleep under when we lived abroad! OMG…..the Plum is so beautiful! If that were mine, I could not stand to have that in the closet. At least send it out if you don’t want to do it. It’s screaming to be finished. Those are such beautiful quilt tops! The colors are so bright and I love all of the solids. Start with whichever one gets your the most excited to get quilting and that will help to build up your momentum! Oh, all those lovely quilts! Close your eyes and pick one to quilt ~ that’s what I’d do! Oh my word. That was brave of you to show. Get to quilting! Take a page from Dave Ramsey and start with your smallest “debt” to get the ball rolling. These are all too amazing to stay unfinished. What a beautiful show. Start anywhere as they are all lovely, and will be such an addition to your home. Thanks for sharing your lovely photos. Wow. They’re all fantastic but I don’t know how you’re sitting on Perfectly Perched and Ruby Strings without finishing them. Gorgeous! I’d start with the Swoon because I’d like to get that one onto my bed! I do like the idea of getting some small ones done so you can say “finished!” I don’t have too many completed tops (2, I think) that need to be finished, but I’m bad about starting to piece a pattern (especially quilt-alongs) and not finishing because I get distracted by a different cute pattern. I know this is going to sound like sacrilege, but I don’t think all quilt tops need to become quilts. If you think of them as any other artist would as studies in colour, line, and form, once the top is pieced and you’ve explored that idea, why does it need to go further. Besides we all have central heating now, it’s not like we need to sleep under dozens of quilts to keep warm. So I say quilt the one you’re most passionate about right now. The others, find some way to display them the way they are, as wonderful, tactile art, and keep enjoying your process. What an inspiration you are! These are all so beautiful! I would love to see Perfectly Perched in Plum and Flea Market Swoon quilted up. You are a go-getter! I’ve often wondered if I ought to just use a top as a back and then I’d kill two birds with one stone. All lovely quilt tops. Good luck. I loove love love the Simply Solid one!!!! I vote for it first then the Perfect Plum. Thanks for sharing your quilting awesomeness!!! Oh Ashley you are so amazing! So many gorgeous quilt tops, all in one place. I say work on the one you are most inspired by first! They are all lovely but my vote goes to Cubicles (maybe because I’m sitting in one right now!. Just reach in and grab one..
My favorites are liberty and simple solids…. And I’d love to see how you finish them. Wow. Wow. Wow. I’m jealous and frightened at the same time. Oh my gosh! I wish I had the time to create that many quilt tops, much less contemplate quilting them. I think I have to work so long on hard on carving out the time to quilt that once the top is done I immediately want it quilted so I can enjoy it. oh it must be in the air. i cleaned up my sewing room and found six in progress quilts so i am banned from starting anything else til some of them get finished. i have 3 tops done and in the basting/quilting process now. i’d finish your Liberty because it would be so nice to sleep under in the warm weather. I’m smitten with the simply solids….. there is just something about that one that draws me in I can’t wait to see it come together. but I must admit anthro prints are a favorite of mine. beeeeeautiful fabric. so that’s my second choice. Liberty patchwork OR ruby strings are my votes! Maybe alternate easiest/hardest to keep the pace? Slow projects make my mind wander! Breakout and Bella Bella are the ones I would like to see finished. They are all wonderful but those stand out for me. They are all gorgeous! My advice is to pick your favorite, because it will be easier to get started if you’re loving it. Thank you for sharing. I feel much better about my five unfinished quilt tops. 🙂 I hope you make a dent in your work…. Such a colorful and inspiring line up! I still dream of having your design wall. Wow! I wondered at how quickly you seemed to be making all these quilts! But they are only the tops! If it was me i’d want to start quilting one which I could see myself using or one that would be a gift for someone. That way I’d be more motivated to get the quilting done. maybe just pick your favorite and start with that one? Oh my Ashley. I don’t know if I feel better or worse. I’d start with the smallest one to m ale quick progress. If/ when you get tired of quilting, reward yourself with a bit more piecing. But, oh my, they are beautiful. Welcome to the wonderful world of parenting! Just jump in while you have a chance! OBVIOUSLY you need to start with the Liberty patchwork 🙂 They all look beautiful, I don’t think I’d know which one to go for first either! Hope to see one of these quilted soon. 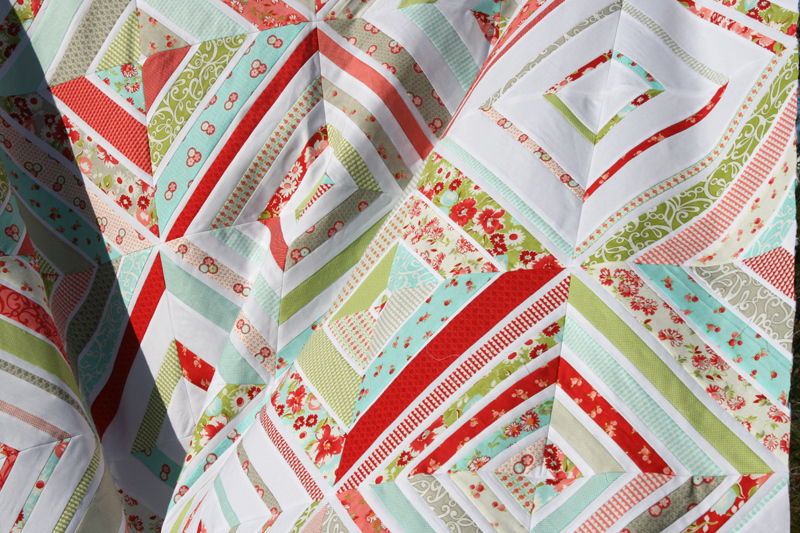 Especially the Swoon Quilt. Ruby Strings and Cubicles are to die for. They get my votes for finishing first! I always wondered how you got so much done. 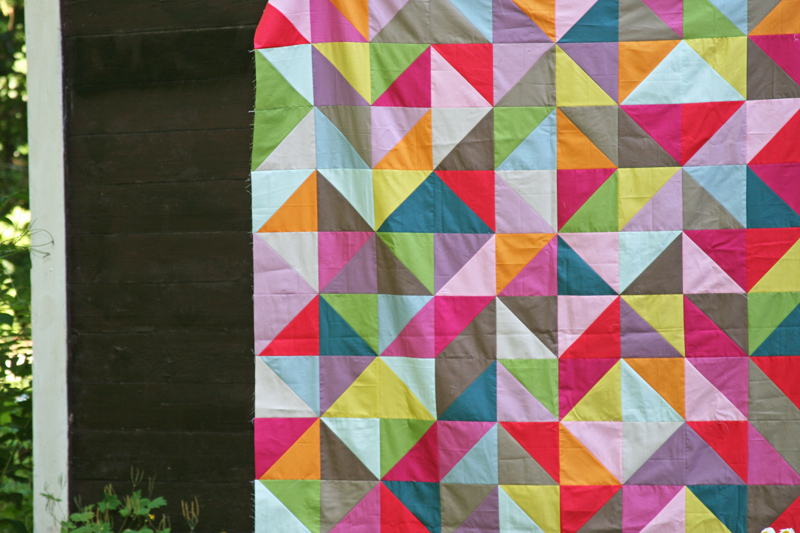 There’s always a new quilt top on the blog. Now we know – you’re cheating!! Just as well there are no quilt police to force us to finish on project at a time – or is that usually the husband’s job? hee hee. All beautiful as usual. What a lovely and inspiring WIP collection!I suggest starting with Graduated Rainbow (but I love the other ones too). G.P. looks seductively simple & once again reminds me of the huge possibilities for variety in quilts. P.S. Do remember that by tackling WIPs you are inspiring many of us to get down to business too, BEFORE following up on new ideas. It IS difficult isn’t it? Start with the smallest or your favorite. Finishing one will make you feel fabulously motivated to finish another 🙂 will look forward to seeing these get completed! You have a great adventure ahead of you with this. When in doubt, send me one and I will quilt it. Gosh I thought I was the only one with so many quilts started, but not finished. I’m in quite the pickle myself! If I were to pick one it would either be Perfectly Perched in Plum (Gorgeous) or Timberrrr (So cute). My advice would be to pick the smallest or easiest one to finish and start there. Don’t forget to have fun! I vote for Bella or Breakout because I see them clean straight lines. Quilting seems easiest on them. They’re all so beautiful, and the photos are a work of art too! 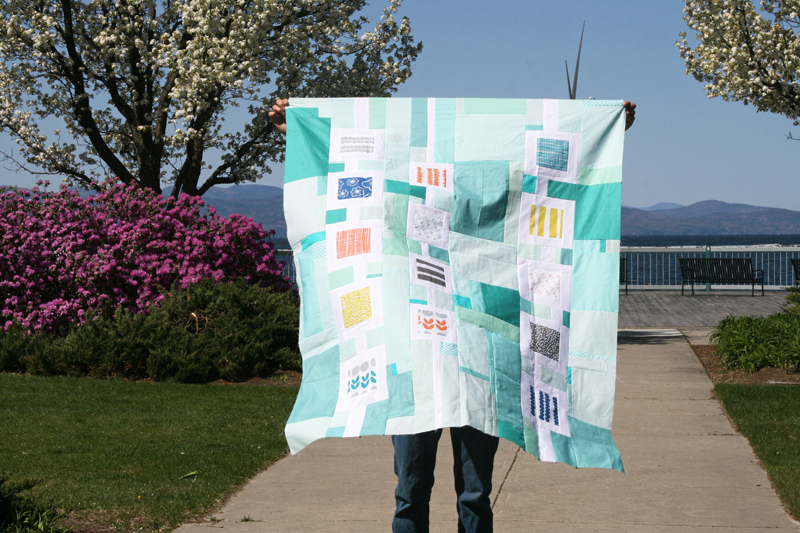 Maybe you shouldn’t let yourself take a photo/make a photoshoot journey until it’s a finish(ed whole quilt)! But we’d be pestering you so much by then you’d have to! I vote for Bella, Bella! Finish that beauty up and send it to my house. I promise to love it and pet it and hold it and call it George. wow! I think you have more than me. I kind of agree with Chelsea, who says every top has to be quilted? I don’t even like some of the tops I have finished anymore. Yours are beautiful, just pick the one you like the most to start. I’m dying to see the Liberty Patchwork finished. That one just calls to me. I want to say, “Shame on you!” but you’ve already done that to yourself! I love the Cubicles quilt so I would probably want to start with that one. However, I agree with the commenter who suggested you start with the smallest. A sense of accomplishment will go a long way in spurring you on to do #2. Also treat or withhold something until you finish one. If you have a favorite type of coffee/tea – tell yourself you can’t have that until you finish at least 1/2 of one or a full one. Besides, if you finish it looks like you could cover a pretty sizable Christmas gift list! If all those lovely quilt tops were mine to finish, I’d make a list first and then start with either the smallest or the one that spoke loudest to me. And I would use my Sharpie pen to satisfyingly cross off each one as I finished. That being said, if it starts to feel like a drag, start a new project! I once “made” myself finish 10 UFO’s in 5 months and it burned me out for a while. Put “have fun” at the top of the list! I vote for cubicles because it is different. Love them all! start with the one quilt top you love the best.. or designate one (quilt top) for the one (person) you love the best 🙂 and then you may find the motivation to finish it… esp if its in time for a birthday or special occasion. I’m intrigued by the low volume #2 palette, and would love to see the quilt top.. cheers! Choose whichever one bugs you the most in its unfinished state, regardless of size. That will give you the biggest feeling of satisfaction to finish, then surf that wave of satisfaction on to the next. How bout start with Your least favorite (you don’t have to tell anyone which one it is). When you get it out of the way, others look less daunting maybe? I like smallest first too. I also like the idea of selling just the top if you could bear to. The question always is, how does one keep ones designing mind off making a new top when there are so many new things to be made and the quilting takes so long!! 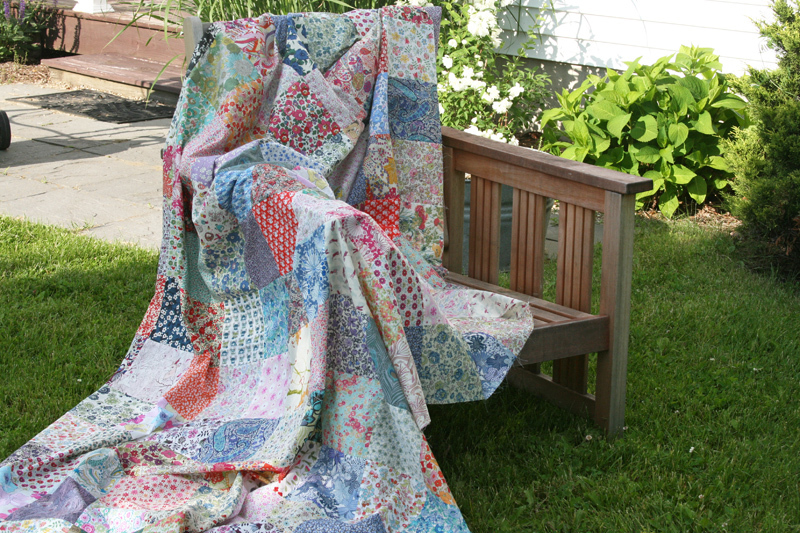 I love Swoon and Liberty Patchwork. Pick one that you love – once you finish, it might help you keep moving on finishing (because you love it so much). Don’t start with the oldest – it could kill your drive. In this order I’d love to see 1. Perfectly Solids 2. Swoon and 3. Perched Plum quilted I am in LOVE with these 3!!!! Wow if it were me I would do something like smallest to biggest or start with the oldest and move forward. They’re all so nice I can’t wait to see them finished. What will you do with them? Since you are so prolific, why don’t you think about donating some to charities, and let the charity finish them? Lots of charities have quilters who work with them. I have a Quilts For Cancer group on Flickr, and each month we all send a block to one member, who makes it into a quilt for the charity of her choice. It is a good way to quilt and yet still get to do something good for someone else. Unless you are selling these for a living, then ignore my suggestion, please! I love the fabrics you’ve chosen for low volume #2. That would be my vote just because I want to see what you’re doing with those fabrics. They’re all wonderful. I don’t think you can go wrong with anything you choose. Greetings from the middle of the ocean, Bermuda! Are you going to sell them? Maybe you could post a few as WIP and then respond to the order in which they are snapped up? Wow, you could just send any of them to me as a gift and i wouldn’t mind finishing one for you at all! I’m a working quilting mom and i have rules on shoes (if i by one pair, i have to get rid of 2 pairs) and about quilts. I can work on max 2 simoultanouasly, i can’t start another before i finish one of them. Maybe a rule like that can help you avoid this luxury position for the future, but i sure love them all! 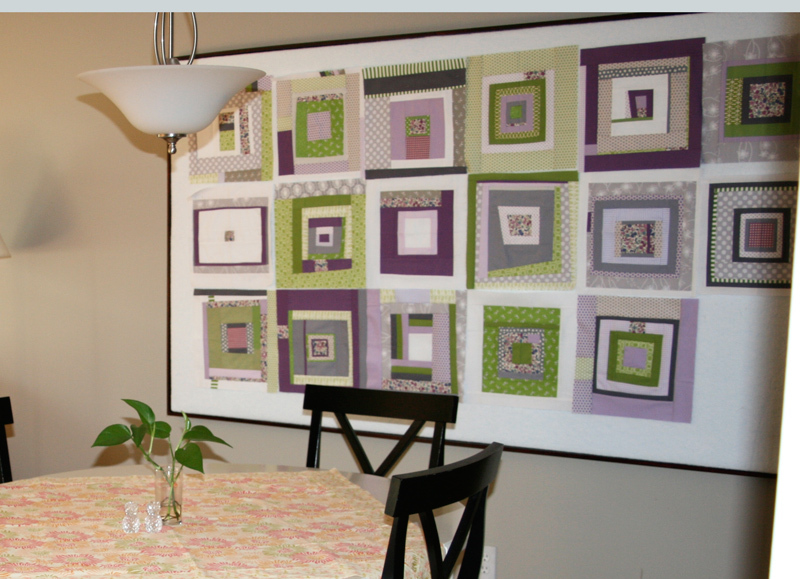 I have to ask…the quilting bee image…is that a big design wall? I need to do something on the large wall in my sewing space and I would love a design wall…just curious how you made it(if it is indeed a design wall). Wow! What gorgeous quilt tops! 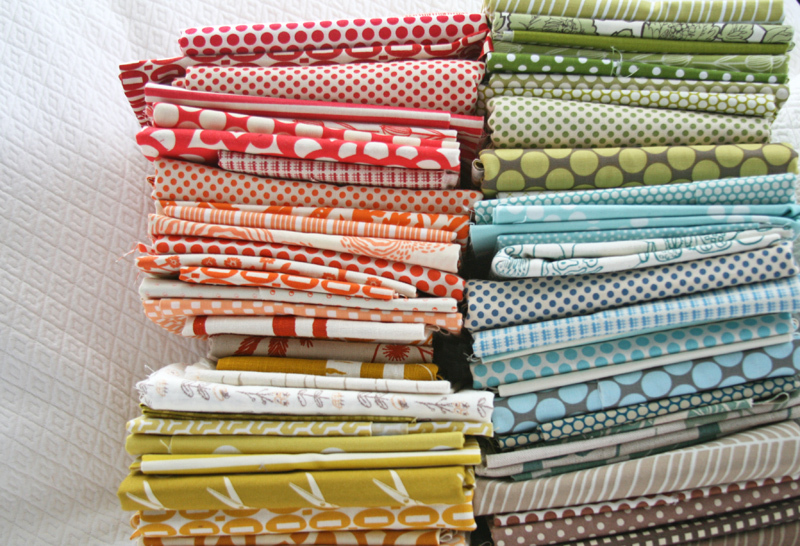 I say start with the solids, the first one at the top, then the other solid – they are so colorful! And my second recommendation is to finish all of them and then write a book with photos and instructions for all of them so we can buy it! Ohh all very lovely quilts, you are quite amazing. 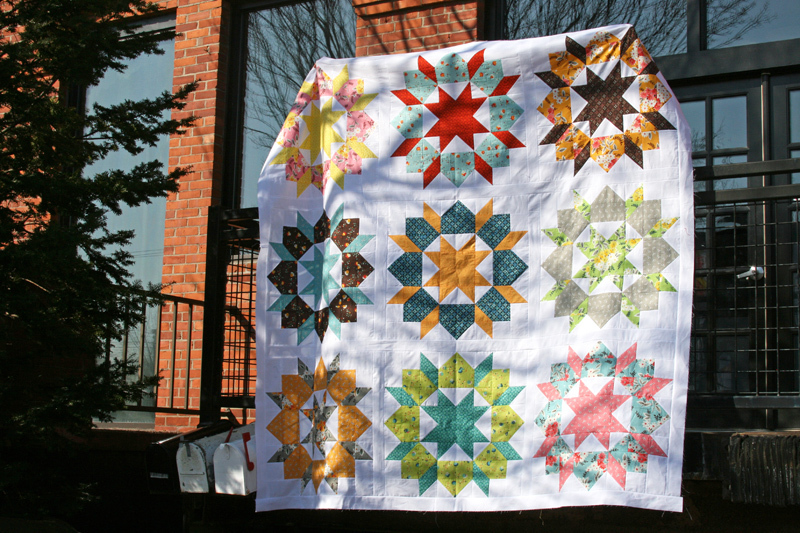 Quilting Bee quilt has such beautiful colours so clever together. Simply Solids cant wait to see what you do with that as it makes me smile. I can imagine that Bella and Break out would be a lot of fun to quilt and the quilting would make them even more amazing. Good luck. Great post. Thanks. 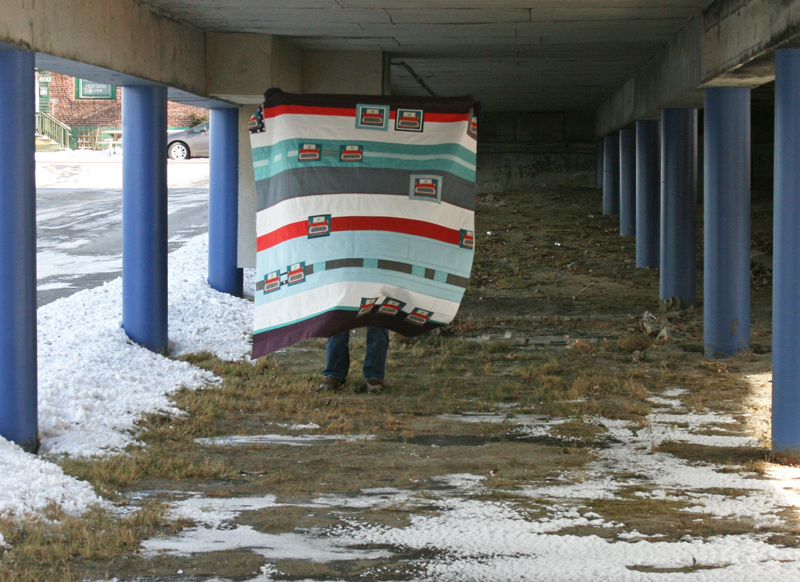 I can’t wait to see how you will quilt Cubicles – please, pretty please, do that one first! I vote Improv solids. I can not wait to see how it turns out. Fabulous quilt tops! Now for some backs. 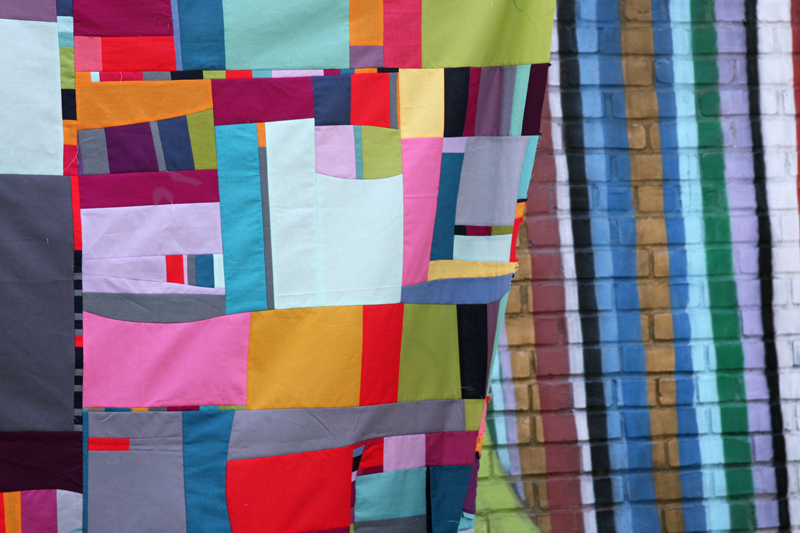 If I had this many unfinished quilts (& I wish I did–it means you’re prolific & moving forward! ), I would finish them in a type of chronological order: Newest then oldest working towards the “middle”. Your selection of project is absolutely beautiful; good luck. oh Wow – seeing all of those in one post definitely makes me understand how the task can seem daunting (but beautiful – wow are these just so beautiful!). I agree with list-making — I LOVE to cross things off lists, it makes me feel like I’m really making progress! I also like to build in “rewards” — maybe each time you finish one you get to order take-out or watch a movie you’ve been wanting to see or even do some patchwork! 🙂 I use ordering fabric as a reward for myself and I find it VERY motivating! 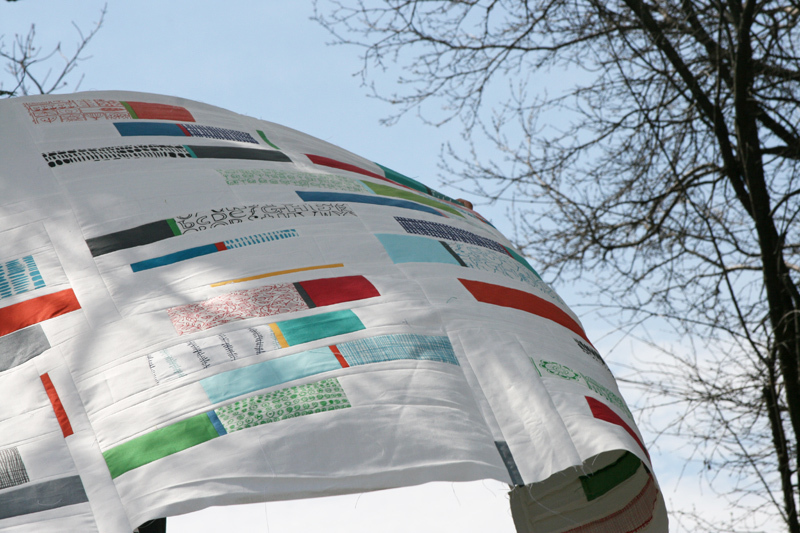 Love the cubicles quilt so I can’t wait to see it finished… Good luck – they’re all beautiful! 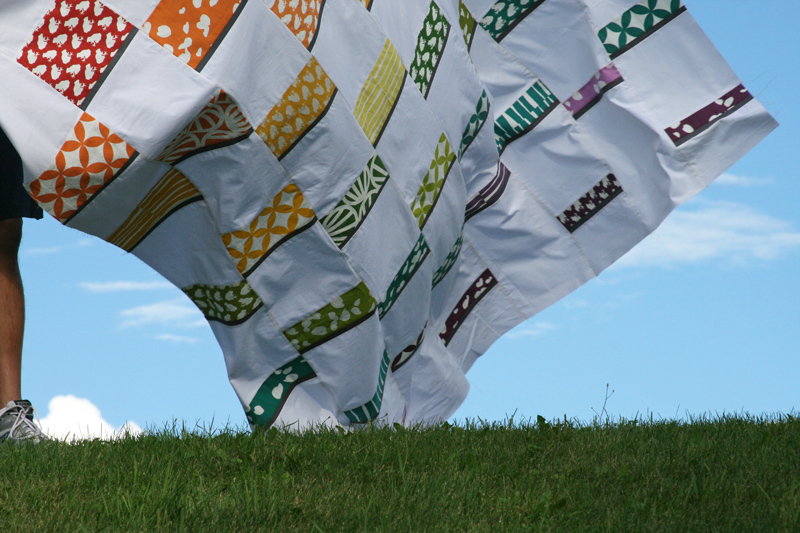 I am a longarm quilter and would love to quilt one of your quilts. Send one my way and we’ll see what we can do together. 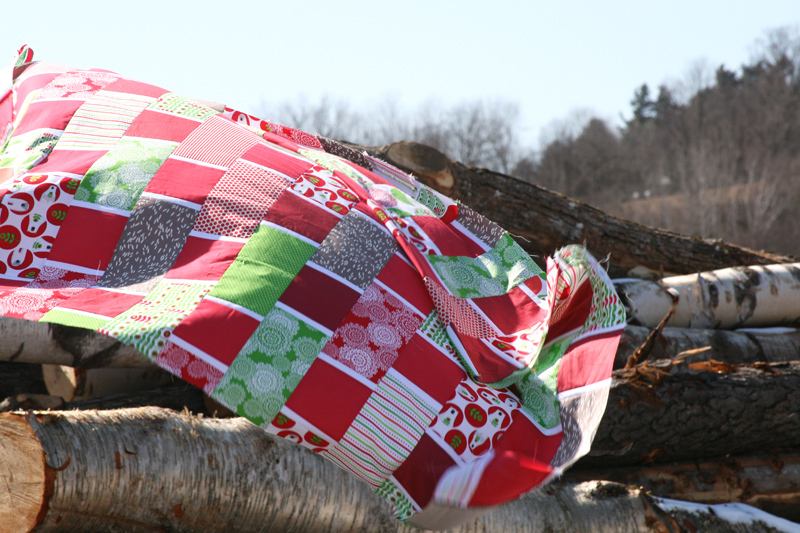 Ashley–I love your blog and your quilts. Do you prewash your fabrics or batting, and what batting do you use most often? Oh wow, that really is a lot of quilt tops! I can’t wait to see Cubicles done personally, so I vote for that one to be up next! I’ve been thinking of hosting a “clear out your backlog of tops” blog event, and this post makes me think that there might be some interest in the idea . . . ha! I know how you feel. I have a large amount that just need to be quilted. Oh my….and I thought only my stash was bad. I was planning a spreadsheet to organize all my needs for finishing. Maybe getting them out and acknowledging them would help, keep us posted on your progress…please. Well, whatever you decide will be right. But already, you’ve inspired me to finish a few of my own wips (just dashed out to get borders for a seven-year wip, so we’re all the same!) I find I fall in and out of love with whichever quilt I’m quilting, so working on two at once helps. Or three, or at the moment… two being hand quilted, two on the wall and three tops with borders and backings being pieced, whoops!! Love them all and they inspire me to move on through to new ideas. Solids especially! omg, what a fabulous closet! i can’t wait to see the Grad Rainbow done, but i adore Cubicles and agree that it is REVERSIBLE – perfect on both sides! all wonderful pieces AND photos, you are a talented & prolific girl!